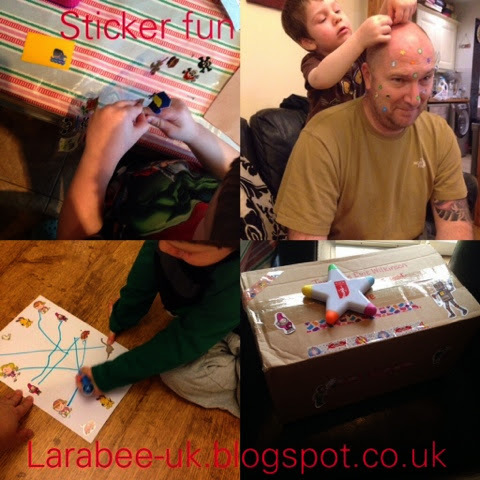 We've been trying to think of lots of things to do with our stickers. 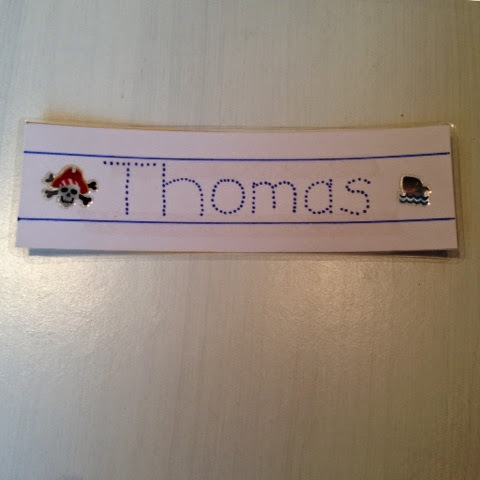 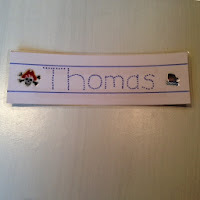 We made a laminated name plate for T to practice writing his name. Bless my little leftie writing right-to-left, he's enjoying the practice though. 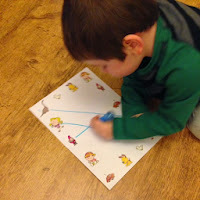 We used some stickers as a reward in a family game, we are trying to teach T about loosing and that he won't win every time, handing out stickers to the other winners (Daddy and I) made loosing a little more appealing. 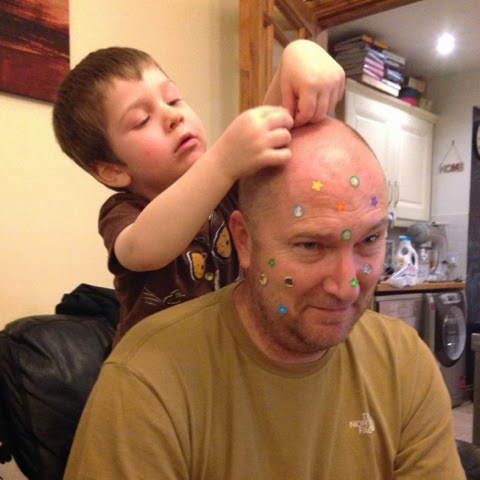 As Daddy didn't actually win he got 'stickered' which, as you can see, T took very seriously! 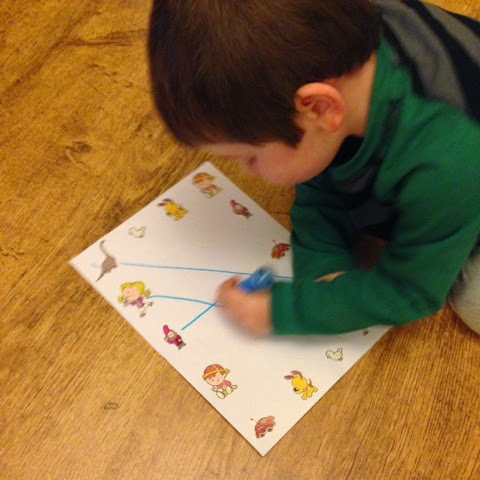 We made a simple sticker matching game when T was feeling a bit poorly, this was a great quiet time activity. We used some stickers to brighten up a sticker swap parcel! 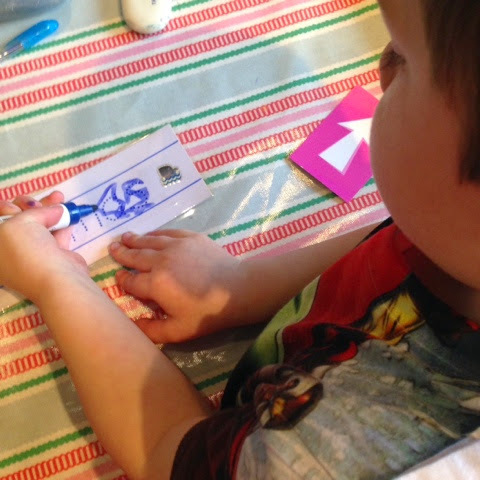 Other sticker swappers have been busy with their stickers too. 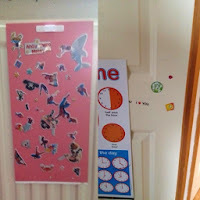 Ella has decorated her bedroom door and the bedroom of her brothers! 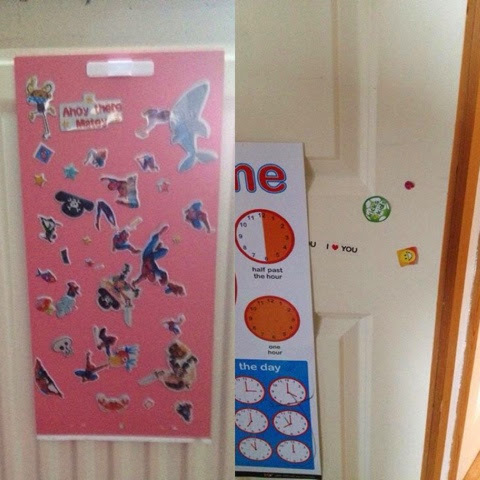 Jack's mummy has made him a 'sticker station' so he can stick his stickers on there and not on the door and walls! 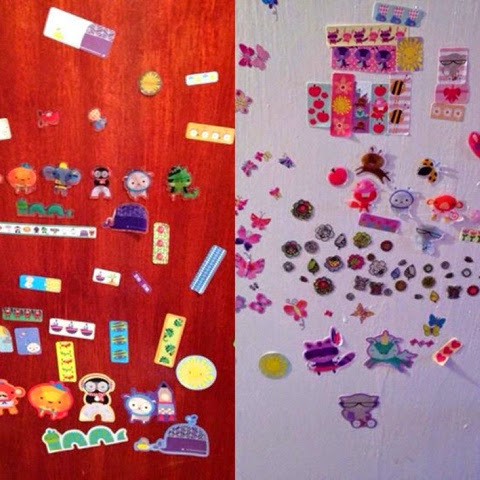 So that's what the kids sticker swappers have been up-to. I have been organising the Christmas sticker swap, sign-up for that ends on 10 November, you can join by emailing larabeeuk@hotmail.co.uk or leaving a comment on this post. 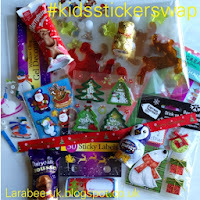 We've already got a few new swappers and I'm going to be running a few small competitions for this sticker swap. 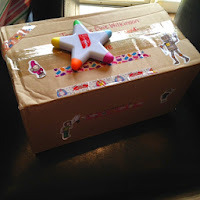 I'm really looking forward to this swap as I love Christmas! 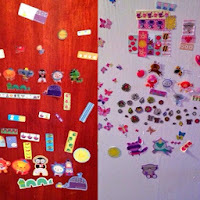 My original sticker swap post can be found here.